Libraries are at the heart of their cities and towns. They have public spaces where people of all backgrounds can come together and connect. Library programs encourage community members to meet to discuss civic issues, work together using new technologies like robots or learn alongside one another in computer classes. Library staff also partner with other civic and service organizations to actively engage with the people they serve, always striving to make sure their community’s core needs are being met. 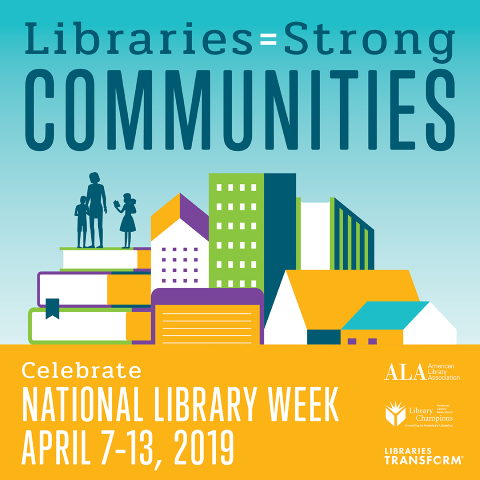 Locally, the Pulaski County Public Library helps lead the community by providing trained staff who can assist the public with information needs, a robust book collection, meeting spaces for the public, and a plethora of digital opportunities. The library’s digital collection has expanded to allow the community to utilize databases such as Consumer Reports and World Book Online, to professional development training through services such as Lynda.com and Gale Courses, and even recreationally through ebooks, audiobooks, and streaming video services. These digital services are available worldwide, and residents can even sign-up for a library card directly from the library’s website. The Library also continues to operate a digital branch through its location at the West Side Center in Medaryville. Through this location, the library offers 24/7 wireless access, a copier, a computer lab, free printing, and monthly programs for children and adults. Guests of the West Side Center can access the library’s digital collection from the computer lab, and even explore resources such as Ancestry.com. Each summer, the library staff also facilitates a weekly summer learning program for children in the Medaryville community. This week, spot the We Love Our Library signs in yards around the county. As the signs say, these people really do love the library! Throughout National Library Week, we'll be having a special book sale: books by the pound! Come in anytime during the week to get books for 25 cents a pound. Library Giving Day will be Wednesday, April 10. On this day we encourage you to make a gift to support all the library services you love. Learn how to give at https://www.pulaskicounty.lib.in.us/about-us/support-library. Patron Appreciation Day is Friday, April 12th. Come in for library treats from 10:00 to 2:00!